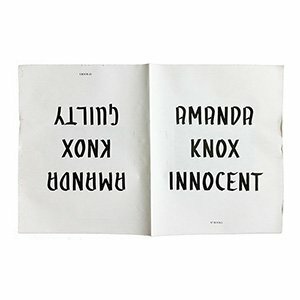 This publication is made up of 22 portraits of Amanda knox taken from mainstream media coverage of her trial between 2007 and 2015. The newspaper reads front to back and also back to front, each way around presenting a different sequence, one suggestive of guilt, the other innocence. Review by Brad Feuerhelm in ASX.